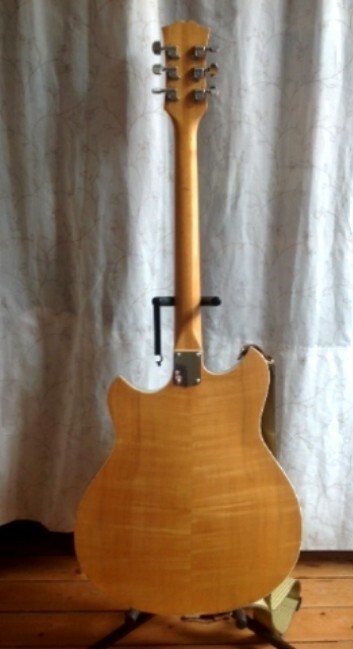 The 820 guitar was also made for Private Brands. in French Canada and France. 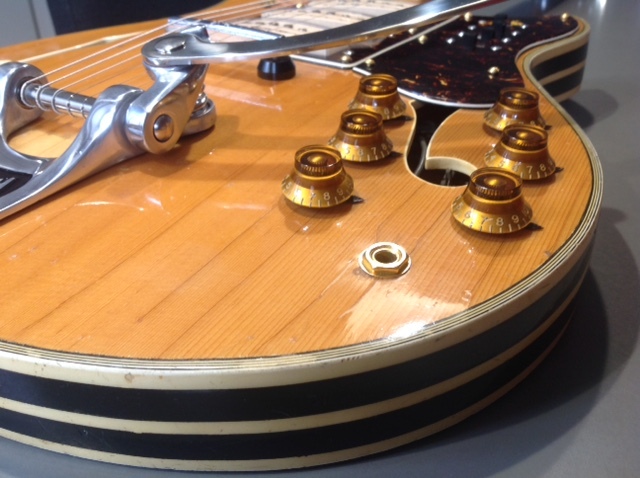 The following guitars are owned by collectors in France. 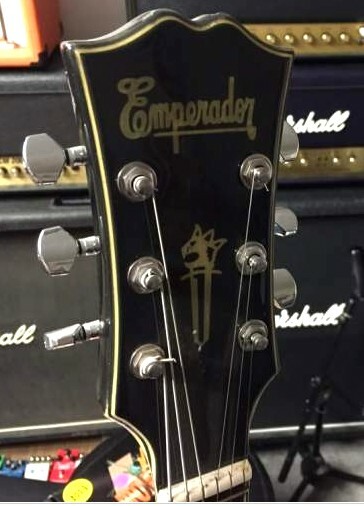 'Emperador' is Spanish for 'Emperor'. 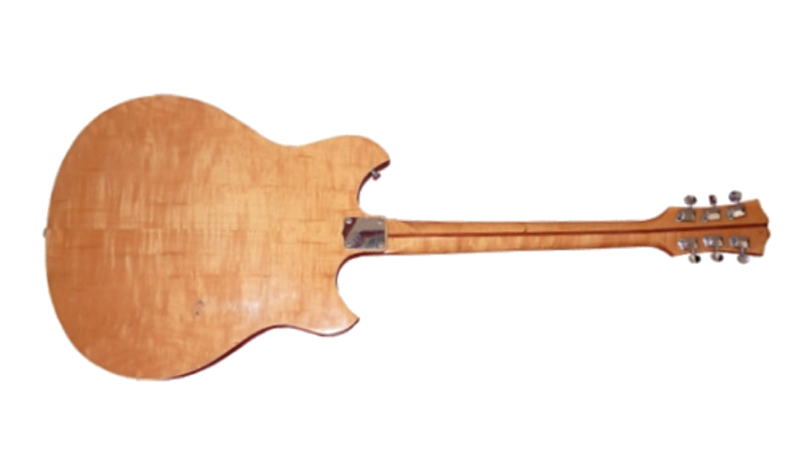 on the upper body bout as the Kent models do. 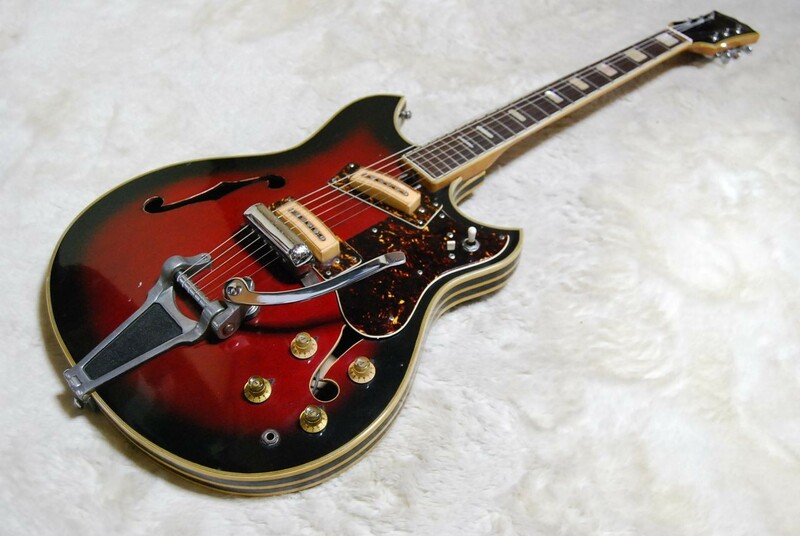 another rarity, an unbranded 820 in a rare Red Sunburst finish, and a strange Bridge Cover. 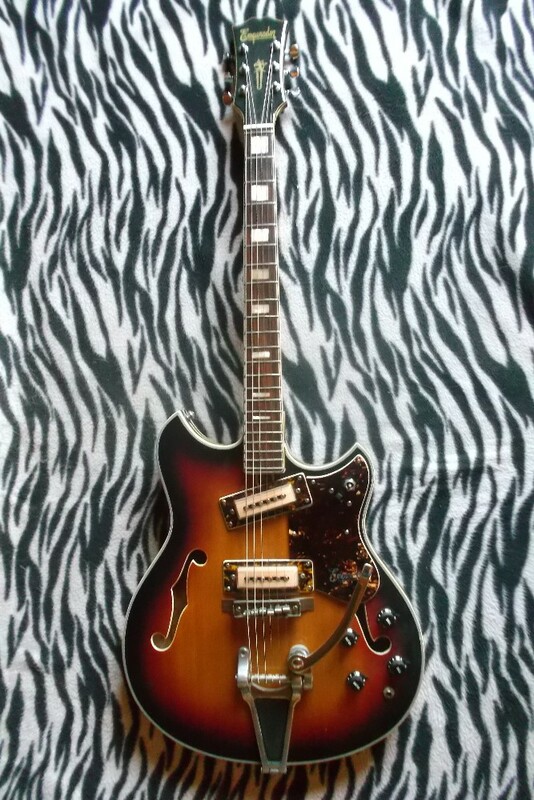 Who knows if this was a factory prototype. 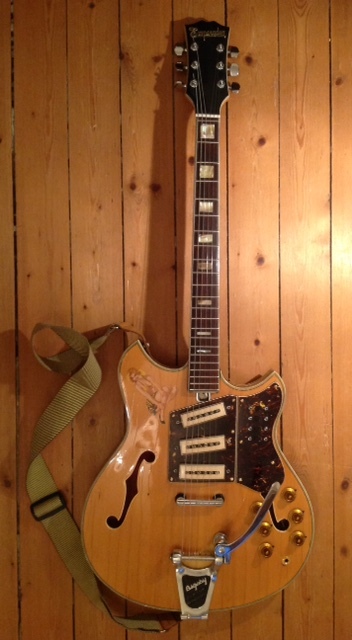 This guitar is owned by a collector in Japan. 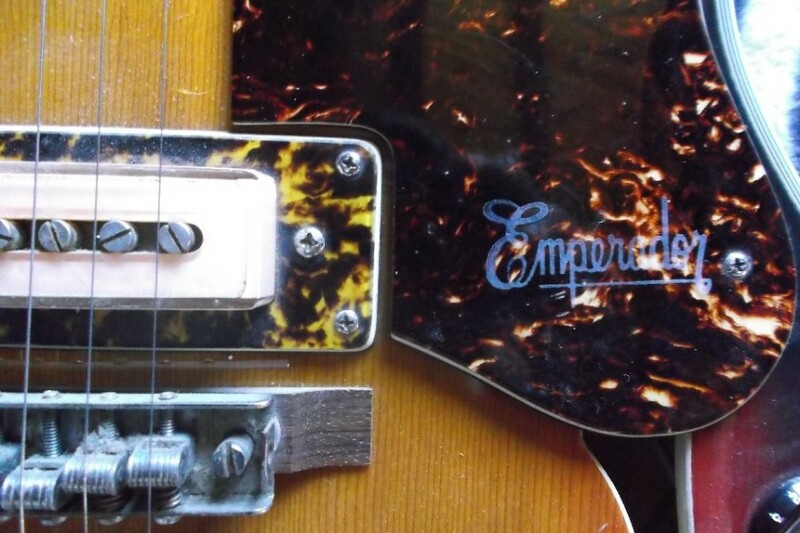 this is a rare Natural finish 'Emperador' 823. 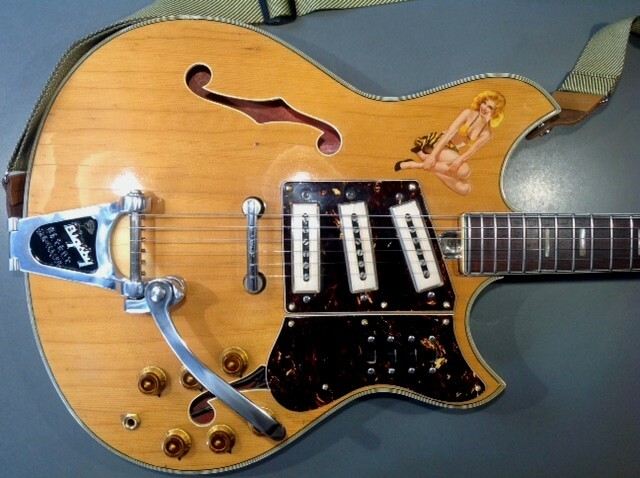 The six control knobs were replaced with Gibson knobs and a Bigsby Vibrato replaced the original. 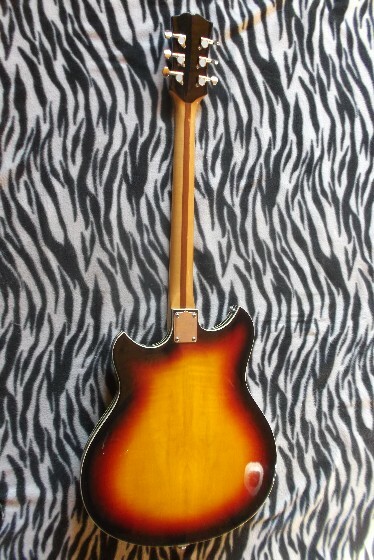 a Model 820 in Sunburst finish.